So enough preamble: let’s get to the wine. 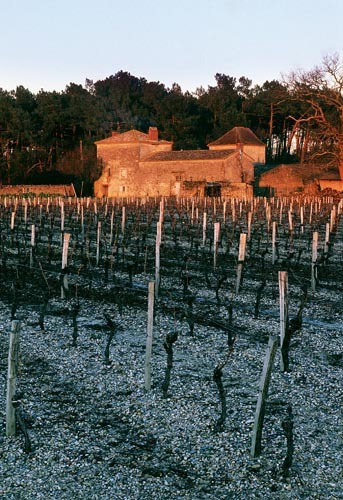 Bordeaux is arguably the King of Old World wine. Reds from Pessac-Leognan, which is part of Bordeaux’s Left Bank, can be blended from the six traditional Bordeaux grapes (the Lurton website includes Carmenere as the sixth grape). The Chateau de Rochemorin is blended from just two grapes — 60% Cabernet Sauvignon and 40% Merlot. Right off the nose, I got a whole lot more fruit than I’d expected. Ripe blackberries came first, with some soft vanilla behind them. I was really looking for Old World leather and barnyard, but I just didn’t get it. Not that that’s a bad thing — this wine fit right in with my New World sensibility. But as I sipped I thought, “OK, here comes the barnyard.” But it didn’t! The palate showed lots of ripe, rich blackberry and cassis, with sweet vanilla oak on the finish. Where was the barnyard?? Where was the Old World austerity?? I think they disappeared with the wonderful 2009 weather. This is an exceptional vintage in France and particularly on the Left Bank. The Wine God himself, Robert Parker Jr., has dubbed it “One of the best in decades.” It was warm and dry, so grapes were able to reach a level of ripeness that’s not typical of the region. What that means for this wine, and others like it, is that the Old World doesn’t taste so Old. The stylistic differences we’ve come to rely on — that New World is fruit-forward and rich and Old World is elegant and austere — just don’t hold much weight. I really enjoyed Chateau de Rochemorin and hope I’ll find lots more 2009 Bordeaux’s just like it. Do yourself a favor and try this one, and do me a favor and let me know what you think. Cheers!